Prototyping results in new tangible innovations that educators, schools and school systems can see, try, evaluate and learn from as they focus on creating something new and better to meet the needs of their students in their schools. 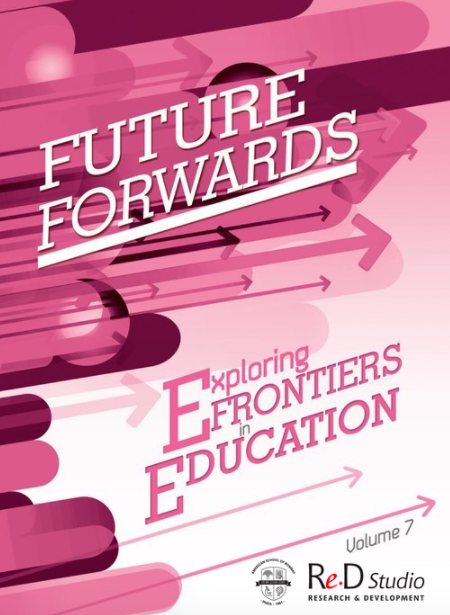 In Volume 7 of Future Forwards you will read about a prototype in elementary school to address the gender achievement gap in maths, developing "glocal" mindsets based on the ISTE standard Global Collaborator, self motivated learning projects in a middle school, ASB's teacher training programme for local educational institutions (my joy - probably the most rewarding thing I've done over the past 6 years), closing the gender gap in STEM in the high school, and developing mobile apps in the middle school. In his book The Innovator's Mindset, George Couros asks the question "Would I want to be a learner in my own classroom?" I think with our R&D task forces we asked ourselves "How can I be a learner in my own classroom?" As George writes, "the innovator's mindset starts with empathy for our students ... but equally important is the desire to create something better." What we have done on R&D is to ask "Is there a better way?" George also points out that many teachers who want to change lack clear guidance and support to make the desired change. Prototyping through our R&D teams has given us that guidance and support. He also writes that "being in spaces where people actively share ideas makes us smarter" and that social media provides a place for ideas to spread. He writes, "sometimes the most valuable thing you get from the network isn't an idea, but the inspiration or courage to try something new." It is with great pleasure therefore that I share the links to prototypes we have been conducting at ASB since 2011.